Close-up of a single, small Honey Mushroom (Armillaria sp.) growing on a tree stump. 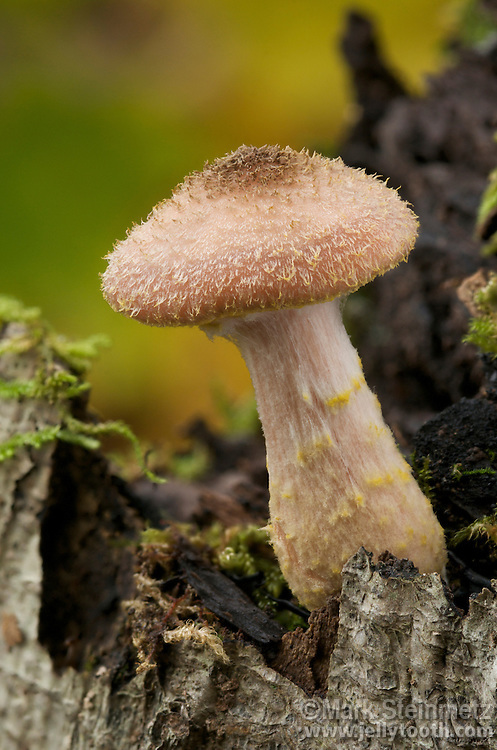 Possibly Armillaria gallica, due to its solitary nature, small size, and slightly bulbous base of the stem. Mohican State Forest, Ohio, USA.